Thanks so much for clicking to learn a little bit more about me! 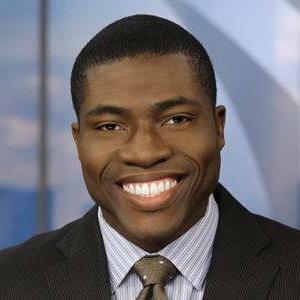 I'm currently a meteorologist at WSOC-TV Eyewitness News in Charlotte, North Carolina. I graduated from the University of Florida after studying Broadcasting and Meteorology. I also hold a masters degree in Applied Meteorology from Mississippi State University. Prior to working at WSOC, I was a meteorologist at Fox 4 in Fort Myers, FL. I also worked in Gainesville, FL as a weather anchor for WRUF-TV. I have seen the best and worst of Mother Nature, and in the process I've taken viewers through floods, wildfires, hurricanes and tornadoes. Most notable is Hurricane Irma, which caused millions to flee Florida while myself and a small crew of reporters took people live to where the storm made landfall as a category 3 hurricane in the Naples area. When I'm not talking weather, there's a good chance I'm staying active, playing my bass guitar or piano, or cheering on the Florida Gators! I have supported numerous organizations over the years through volunteering such as Habitat for Humanity, The Salvation Army, Junior Achievement and the Pan Florida Challenge for Hungry Kids.